Blue and green glass bottles fill shelves against a stark white backdrop. Mixologists hold bottle stoppers out for people seated at the bar to smell. They wear white lab coats that say “Be Original Be Fabulous.” They seem to be conspiring with the guest brewing a concoction. Clear glass bottles are filled with amber colored liquids. You’d think that a special Cognac or Bourbon is being blended for a cocktail at a hipster bar. Instead, the people behind the bar are perfume gods and goddesses, waiting to help you find your own Original Scent. Then you notice Kelly Bensimon (Real Housewives of New York) sniffing and smelling at the bar. She’s consulting with artisan perfumer Sarah Horowitz to create a custom blended perfume. There’s Jeff Goldblum trying out different scents. These sessions are taking place at Original Scent, a new upscale custom fragrance boutique in Pasadena, CA. 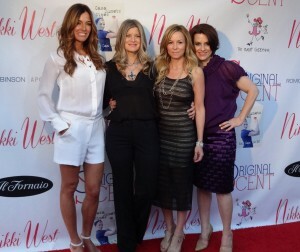 Original Scent is the brainchild of three high-power entrepreneurs – perfumer extraordinaire Sarah Horowitz, party and event planner to the stars Marley Majcher and entertainment branding agent Nicole Winnaman. Their star clientele includes Gwyneth Paltrow, Sofia Vergara, Pierce Brosnan, Madonna, Jennifer Garner, Jessica Biel, Ellen DeGeneres and Justin Timberlake. However, Original Scent is not a typical fragrance blending bar. Nicole says, “we offer a very chic one-on-one perfuming experience. It’s tailored to creating an unique scent wardrobe that includes an on-site custom candle bar,” filled with your scent. 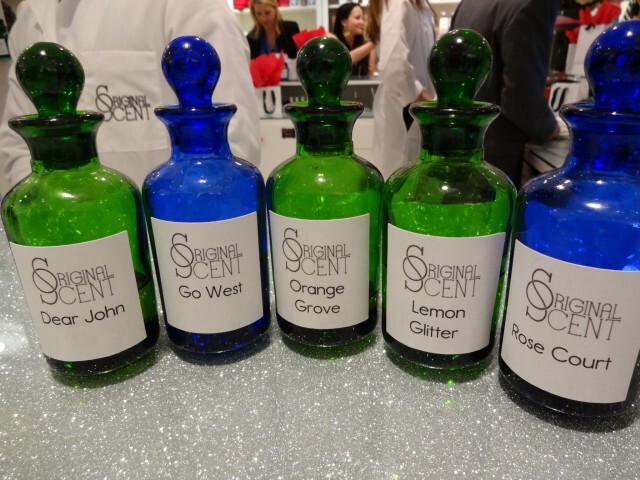 Sarah says that they are offering a condensed version of her “Fragrance Journey,” an in-depth personal perfume discovery that she has developed for her clients. At the opening soiree flashbulbs and a red carpet, videographers and microphones. 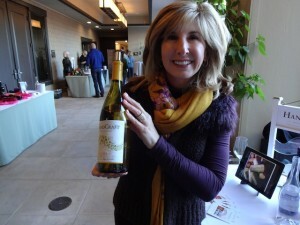 Sonja Magdevski, winemaker at Casa Dumetz wines (co-owned with partner Emilio Estevez, a wine lover himself) poured her Viognier, a wine with white floral and tropical notes. 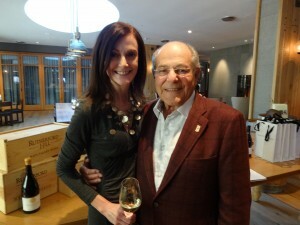 Fashion icon Ron Robinson was there too, introducing his new line of home fragrances. Sarah worked for Ron early on in her perfume career and made the scent IF for his Apothia stores. The concept for Original Scent is based on the notion that you are individual and fabulous and that you should have your own scent. Sarah believes giving perfume is the highest gift you can give, so why not treat yourself? Sarah has trained the perfumers behind the bar to help guests find their own fragrance based on five personality types. Sarah blended several new perfumes celebrating the opening of Original Scent. Lemon Glitter was inspired by Marley, who, in “all of her sparkly glory,” loves lemon and fig. Rose Court is inspired by Pasadena’s Rose Parade and Dear John was inspired by Nicole, a sophisticated scent, for her love of sandalwood. All in all, 40 original scents were made opening night. The scent Sarah created for Kelly Bensimon, Spirits Lifted, is beautiful. Notes include tuberose, honeysuckle, lemon, and musk. Kelly loves it. 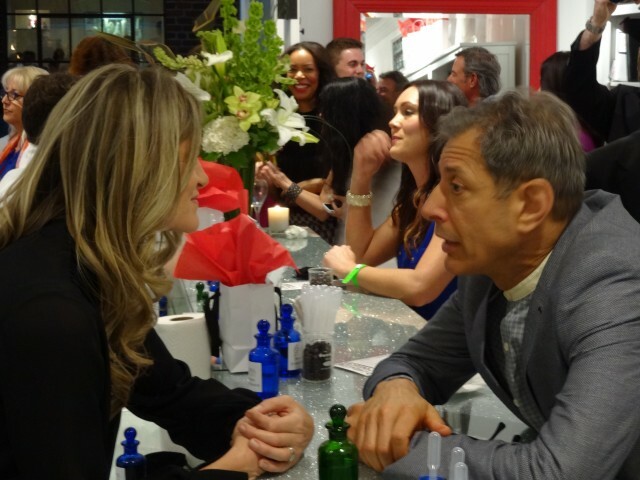 I had no idea Jeff Goldblum is also a perfume fan. He was at Original Scent to blend a fragrance for non-profit OCEANA, whose mission is ocean conservation worldwide. With Sarah, Jeff concocted “Oceana,” with salty, oceanic notes, for a “sea-kissed feeling,” honeysuckle and sandalwood. It’s a unisex fragrance. “Jeff Goldblum has an intensity and sensuality about him,” says Sarah. “He was open to the process of experiencing the notes individually and taking them in.” Proceeds from the sale of this perfume go OCEANA. While you can get your Original Scent, you can also give this fragrance journey as a gift, or have a scent made for an anniversary or wedding. Perfume creates memories that last, and what better way to experience them than as a fabulous fragrance.